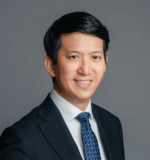 Nicolas Tang is the Founder and Managing Director of Farallon Law Corporation. Nicolas has extensive practice experience at top international and local law firms. He set up Farallon Law Corporation to bring that same level of service to companies and individuals at affordable rates. For companies, he specialises in commercial litigation and drafting contracts. For individuals, he takes on litigation and dispute resolution, criminal matters and contract reviews. He was admitted to the Singapore Bar in 2002, the Roll of Solicitors of England and Wales in 2006, the New York Bar in 2009, and a Hong Kong Solicitor in 2009. Nicolas has extensive practice experience at top local and international law firms. He regularly advises clients on matters such as shareholder agreements, loan agreements, franchise agreements, and other business transactions. Nicolas started his career handling disputes under Senior Counsel Davinder Singh, and went on to gain extensive practice experience at top local and international law firms. Disputes between majority or minority shareholders. In particular, minority oppression under Section 216 of the Companies Act, or derivative actions under Section 216A of the Companies Act. Nicolas charges fixed rates or by the hour, on a case by case basis. He is assisted by junior lawyers.